Should you play Merge Plane? When I was a boy, I dreamed of traveling around the world on a plane. I can fly anywhere, any country on my plane. In Merge Plane (MOD Unlimited Diamonds), you can do more than that. This is the latest game of Merger Games, free on both iOS and Android. 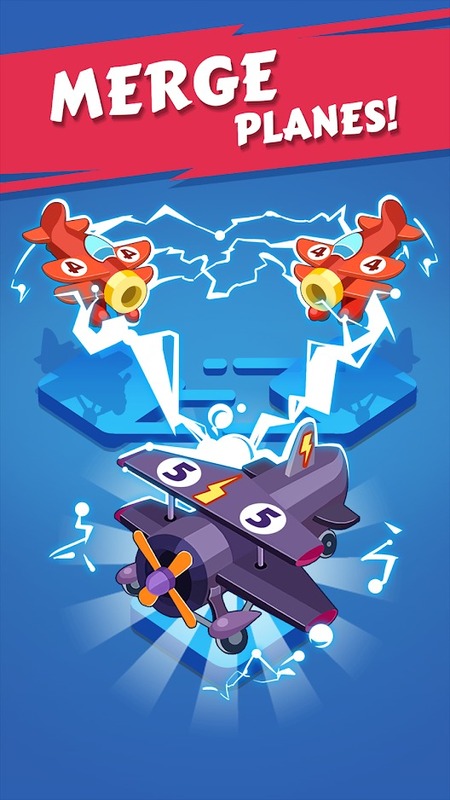 In this game, you are a boss of a large aviation company, who owns several aircraft and manages hundreds of flights a day. The idle game is always a lot of people’s favorite because of the fun, unique gameplay that does not require too many things of players. In the previous games, I introduced, you used to manage a honey factory in Bee Factory, owned a company in Game Dev Tycoon, now let try this game! Players start developing their airline with just a few rudimentary aircraft, which seem to be old. On your screen are an airport and an ellipse simulation for the flight path. 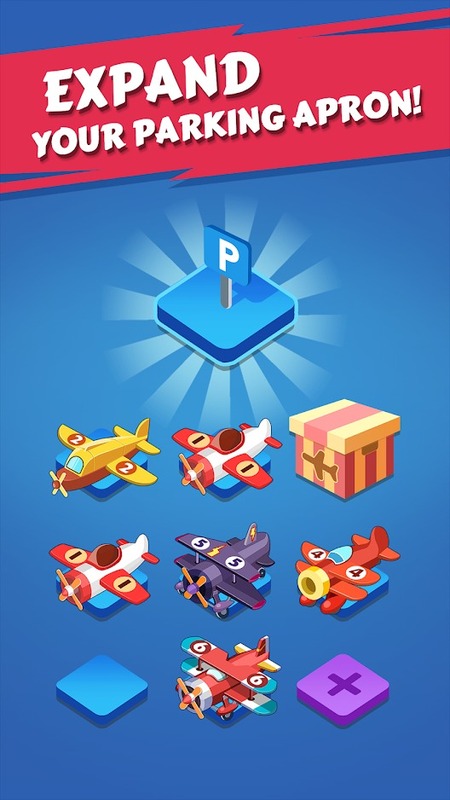 Pick up one or more of your favorite planes and let them complete the flight. These aircraft can carry for cargo or passengers. When they complete the flight and return to their original location, you will receive golds. During the first few days, I actively made flights, make money to buy new aircraft and upgrade existing aircraft. But after a long time, I feel that this game repeat and there are not many new things. 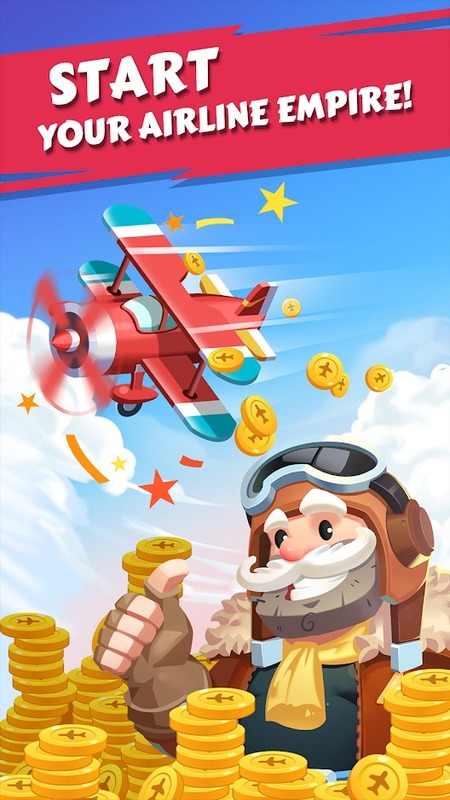 To overcome this situation, Merge Plane has added a lot of features, many attraction things in the store to stimulate players to make money to buy them. I realize that you do not need to play this game continuously. Once you’ve made the flight, you can close the game and continue your work, and then you can get money the next time you open the game. Merge Plane has many different types of aircraft for you to choose from. 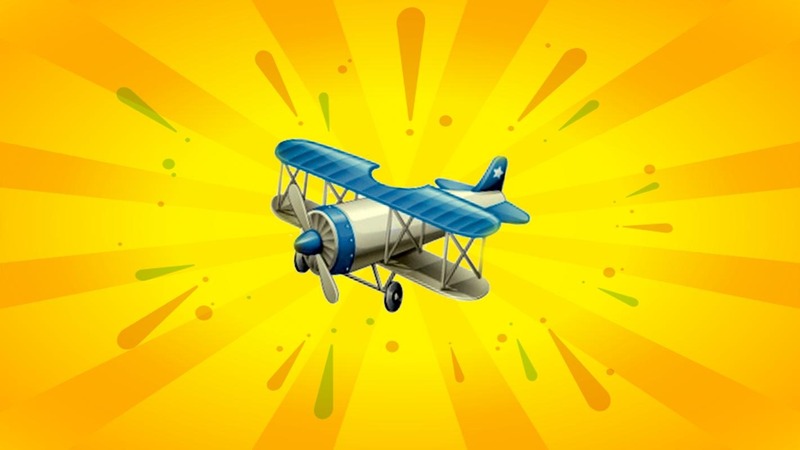 Most of the planes in the game are biplane fighter aircraft used in World War II. If you are a fan of classic aircraft, this game is a great choice for you. 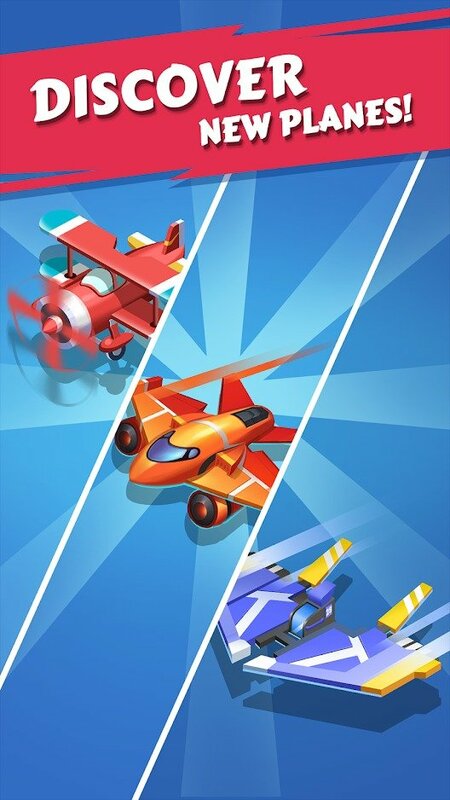 What’s more, the game allows you to merge two aircraft to create a more modern, more exciting aircraft. You can buy a plane and its accessories with gold or gems. Gold can be obtained by making the flight. You can buy gems in cash or by doing quests and watching ads. Do you see the little man in the lower left corner of the screen? He is not there to decorate. You can click on him to see the quest list. You should keep track of that list every day as there may be tasks you do not realize you have completed. Watching ads is an effective way for you to earn gems in Merge Plane. This also gives you the chance to receive free airfares or lucky draw tickets. Promotional videos usually last 30 seconds to a minute. In fact, you do not have to actually watch it. Open ads video, put your phone down and relax for a short time. The answer is “yes”. 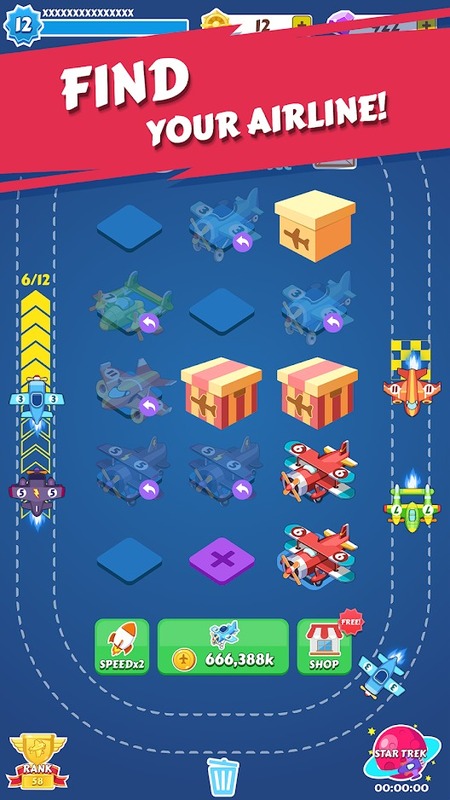 Overall, Merge Plane MOD is a simple idle game with simple gameplay and simple graphics. The game is fun, you can play anytime, even if you have only 10 minutes free time.